If there’s one player who has been regularly linked with a transfer in recent months, it has to be Juventus’ star striker, Paulo Dybala. And the Argentina international has once again made the headlines courtesy of his recent activity off the pitch. 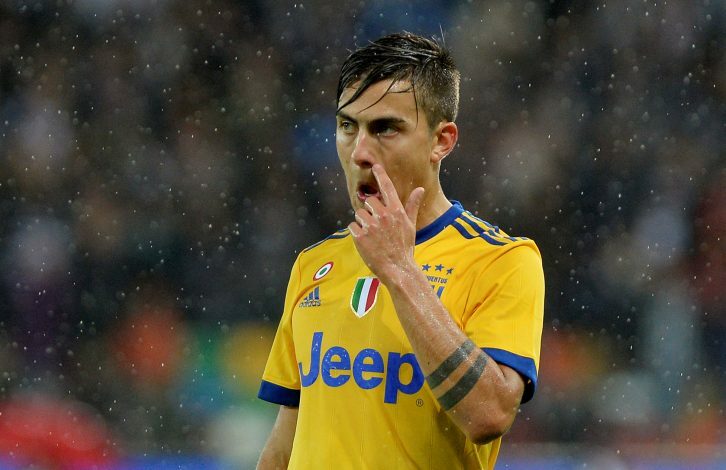 Dybala has flamed up the idea of a potential transfer to Atletico Madrid, after the 24-year-old was spotted having dinner with Diego Simeone in Madrid on Monday evening. Radio Marca revealed that the Atleti boss was waiting at a table in the Restaurante Kabuki, and later shared a meal with the striker. Jurgen Klopp undeniably made the signing of the season last summer, when he landed Mohamed Salah as Philippe Coutinho’s replacement. And as it appears, the German tactician could once again work his magic, as he has identified a potential candidate to fill the shoes of Emre Can, who is set to leave come summer. Mirror claims that the Reds are all set to bring Napoli’s £50 million-rated star, Jorginho, to Anfield. Furthermore, the report suggests that the Merseyside giants are ‘confident of beating Manchester United and Arsenal’, who are also vying to sign the Italian midfielder. The interest in N’Golo Kante has been cosmic ever since the Frenchman won the Premier League with Leicester City in 2015-16. Chelsea bagged him in the very next transfer window, and since then, Kante has continued to impress his suitors with ceaseless resilient performances, which in turn, have made him one of Paris Saint-Germain’s main targets for the upcoming transfer window. However, the Ligue 1 colossi could face dejection, as Evening Standard claims that the 26-year-old has confirmed that he has ‘no interest’ in making a move away from his ‘home’. With his career having somewhat come to a standstill since his move to Real Madrid, Dani Ceballos is now focusing on making a switch away from the Bernabeu, with Los Blancos also looking to cash-in on the unsettled Spaniard. Liverpool have emerged as the top contenders to bag the midfielder, but according to Mundo Deportivo, the Reds could face serious competition from two Italian giants, viz. Juventus and Milan, who have reportedly approached Madrid to sign the 21-year-old. The Gunners have had major issues at the back this campaign, and Arsene Wenger seems to be starting off with his side’s overhaul by replacing his goalkeeper. Both Petr Cech and David Ospina have failed to make any solid impact with their performances, and thus, as per The Sun, Wenger is keen to bring in Bayer Leverkusen’s shot-stopper, Bernd Leno. However, Napoli are also eyeing the German international, but their £15 million bid won’t be enough to land him, as the London club has already prepared a £25 million bid. Meanwhile, Liverpool are also mooted to make a move for Leno, as they still don’t have a No.1 that could be regarded as world class.